His real name was Francis Wayne Sinatra -- his father's full name is Francis Albert Sinatra -- but went professionally by Frank Sinatra Jr.
Sinatra Jr. was the middle child of Sinatra and Nancy Barbato Sinatra, who was the elder Sinatra's first wife and the mother of all three of his children. Sinatra Jr.'s older sister was Nancy Sinatra, who had a successful musical career of her own, and his younger sister was TV producer Tina Sinatra. He was born in Jersey City, New Jersey, in 1943, just as his father's career was getting started, and he would watch his dad become one of the most famous singers of all time. But he usually watched from a distance, as Sinatra was constantly away on tours and making movies. "I saw all the top stars perform," Sinatra Jr. told the AP in 2002. He said one of his favorite memories of his father harks back to a performance in the late 1960s at Caesars Palace in Las Vegas. "He was sitting on a little stool, and he sang the Beatles song 'Yesterday' and 'By the Time I Get to Phoenix' and 'Didn't We,'" Sinatra Jr. said. "We were all crying and singing." In 2015, on what would have been his father's 100th birthday, he described his father's voice to "Sunday Morning" correspondent Mo Rocca as "truth.... When Sinatra sang, you believed him." 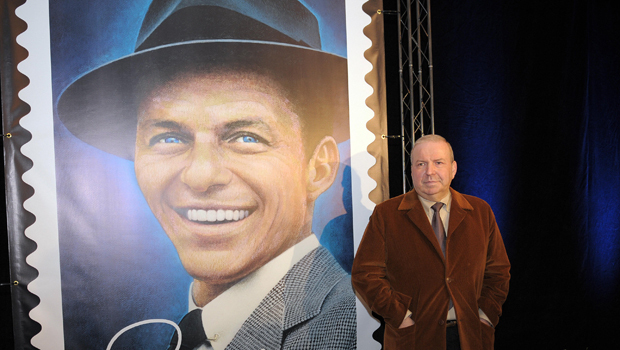 Sinatra Jr. was able to provide a link to his father's music after his death, performing his songs and arrangements on tours and especially in Las Vegas. The elder Sinatra died of a heart attack May 14, 1998, at 82. "Since my father's death, a lot of people have made it clear that they're not ready to give up the music," Sinatra Jr. said in the 2002 AP interview. "For me, it's a big, fat gift. I get to sing with a big orchestra and get to sing orchestrations that will never be old." Fans and celebrities took to Twitter to react to the younger Sinatra's death.